Chrysler made waves when they announced the upcoming arrival of the all-new 2017 Chrysler Pacifica. Offering an upscale yet comfortable and family-friendly ride, the Chrysler Pacifica will offer a truly outstanding experience. The exciting arrival will feature an all-new chassis, which is lighter and lower than the competition. 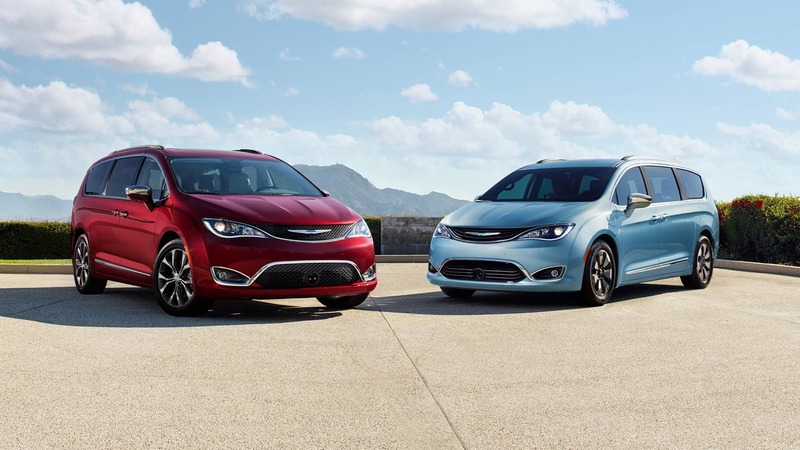 This new chassis not only optimizes the comfort of the ride, but has allowed the Chrysler designers to style the Pacifica with longer and sleeker lines. Furthermore, this all-new chassis will allow customers to optimize the interior space for up to seven or eight passengers. Finally, Chrysler will also offer a brilliant Hybrid powertrain for the most efficient ride possible. Learn more about this highly anticipated new arrival by reading below! The all-new 2017 Chrysler Pacifica will be powered by a 3.6-liter engine, no matter which model is chosen. The base configuration will pair the great engine with a nine-speed automatic transmission. With front-wheel drive, the Pacifica will boast a base output of 287 horsepower and 262 lb-ft of torque. Drivers will also have the ability to equip a Hybrid powertrain. The Hybrid powertrain pairs the 3.6-liter engine with two electric motors powered by a lithium-ion battery. This technology works together to offer 248 horsepower, and the hybrid can easily run for thirty miles with just electric power. The battery can easily be recharged with a 220-volt charger, or even a typical household outlet. Chrysler has made sure to equip their Pacifica with phenomenal features to make the ride exciting for every member of the family. Even going on road trips will be fun, with the Pacifica offer innovative games and infotainment features to turn every ride into a game. The front passengers will love the 8.4-inch infotainment system, which will offer easy access to smartphone app functions, navigation, and audio controls. The rear seat passengers will have a brilliant experience with the Uconnect Theater system. This amazing system offers dual 10-inch HD touchscreens, which are perfect for playing games, streaming content, and watching movies. The Pacifica will offer a six-speaker audio system as a standard stereo, though drivers can also equip premium level Harman Kardon or Alpine audio systems. The interior will offer convenience for cargo hauling with a Stow 'n Go seating system. The exterior optimizes convenience with hands-free sliding doors, and a great hands-free liftgate which is operated with your foot. 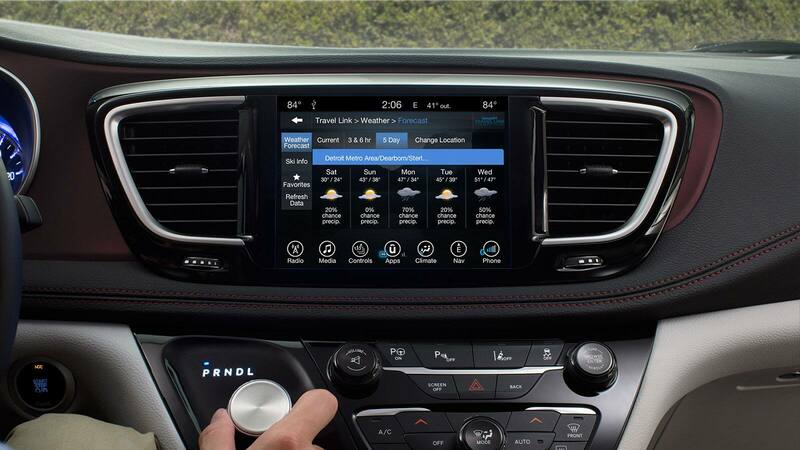 Most important to Pacifica buyers will be the importance placed on safety, and Chrysler has delivered in spades with their incredible standard driver assistance features. Drivers can look forward to blind-spot monitoring, parallel parking assist, forward collision warning, and lane departure warning to name a few. When will the Chrysler Pacifica be arriving at dealerships? Will Chrysler be offering a hybrid option for the 2017 Pacifica? The 2017 Chrysler Pacifica will be available with a phenomenal hybrid powertrain, which will offer upwards of 80 mpg! 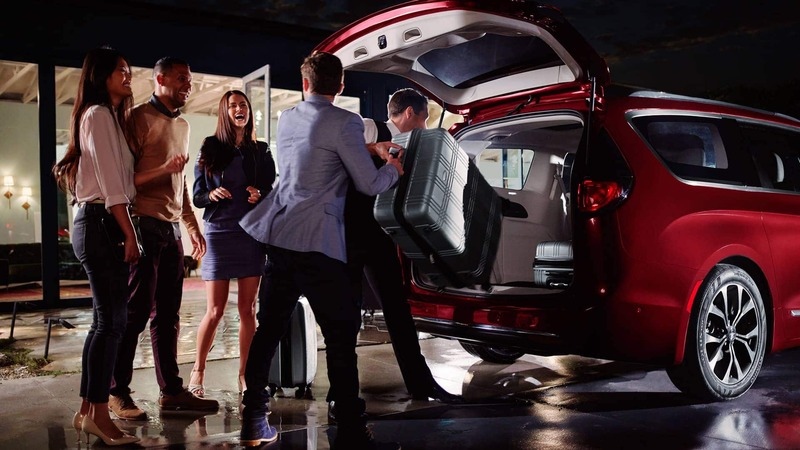 Chrysler has worked hard to offer families the finest experience possible during every trip, and the all-new Pacifica will offer unmatched comfort, excitement, and safety. With innovation powertrains, highly advanced driver assistance options, and incredible infotainment features, the all-new 2017 Chrysler Pacifica will remain unparalleled within the competition. We can tell you more about this upcoming model, just contact us today at Lynch Chrysler Dodge Jeep Ram!